Divorce is the legal dissolution of marriage. When both the parties (i.e. husband and wife) jointly file a petition for divorce and divorce is granted by the court, then that amounts to divorce by mutual consent. 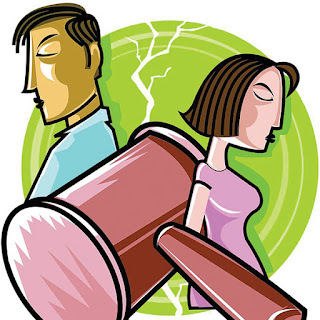 In divorce by mutual consent case, both the parties are petitioners. In the year 1955 when the Hindu Marriage Act was enacted, the provision of divorce by mutual consent was not there. It was only by the Marriage Laws (Amendment) Act, 1976 that a new section 13B was inserted in the Hindu Marriage Act. Section 13B of the Hindu Marriage Act, 1955 reads as – “(1) Subject to the provisions of this Act a petition for dissolution of marriage by a decree of divorce may be presented to the District Court by both the parties to a marriage together, whether such marriage was solemnized before or after the commencement of the Marriage Laws (Amendment) Act, 1976, on the ground that they have been living separately for a period of one year or more, that they have not been able to live together and that they have mutually agreed that the marriage should be dissolved. (iii) Both husband and wife have mutually agreed that the marriage should be dissolved. Hence, they both must be living separately for a period of 1 year or more before filing a petition of divorce by mutual consent. ‘Living separately’ has no reference to the place of living. It is not that they cannot live under the same roof rather it is important that they are not living as husband and wife and that they have no desire to perform marital obligations anymore. Both the parties must file a joint petition supported by affidavits in the District Court. This is known as first motion petition in which they have to state that due to irreconcilable differences between them, they can no longer stay together as husband and wife and that divorce should be granted to them. After expiry of 6 months and not later than 18 months, they both have to file a second motion petition. But if the petition is not withdrawn and the court is satisfied that all the requirements are fulfilled then the Court can grant a mutual divorce decree. The marriage will stand dissolved from the date of such decree passed by the Court. The 6 months time is given so that the parties can re-think on their decision and to check any possibility of reconciliation. Any of the party can withdraw his/her consent before the passing of the decree. This 6 months time is generally known as ‘cooling period’. However, the consent must be free and not obtained by way of force, fraud, undue influence or any kind of threat as the whole purpose of mutual consent will be vitiated if consent is not free. 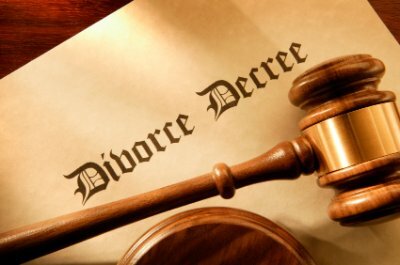 even if husband or wife withdrew consent after 18 months but prior to passing of the decree by a competent court, the court could not grant divorce. So, any of the party may withdraw his/her consent at any time before the passing of the decree. Smt. Sureshta Devi vs Om Prakash [1991 Supreme Court] In this case Supreme Court said that “…section 13B does not provide that if there is a change of mind it should not be by one Party alone, but by both. Therefore, if one of the parties at that stage withdraws its consent the Court cannot pass a decree of divorce by mutual consent.” Thus, a petition for divorce by mutual consent can be unilaterally withdrawn. Anjana Kishore Vs Puneet Kishore [2002 Supreme Court] a three-judge bench of the apex court waived off the six month period for granting the decree of divorce by exercising its extraordinary powers under Article 142 of the Constitution which empowers the Supreme Court to pass any order or judgment for rendering justice to individuals and others.